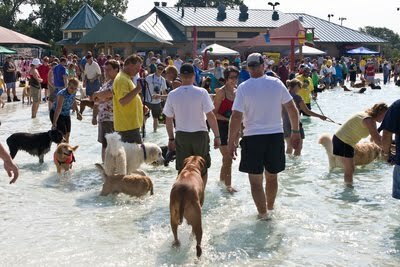 Thanks to dedicated volunteers, generous sponsors and a heap of water-loving dogs the annual event to help raise money for the Madison K9 Unit is back. We are expecting a crowd so be sure to come early and have your registration form filled out to avoid long waiting times. Sorry, no puppies or intact dogs allowed. All dogs must have proper vaccinations and current dog license. It is very important to note that we have a ZERO AGGRESSION POLICY. Any dogs that engage in aggressive behavior will be asked to leave immediately for the safety and security of all participants. For helpful links and additional rules and guidelines please click here. There is an admission and registration fee of $10 per dog. The fee also includes entry for two people. For those without dogs there will be a fee of $5 per person. Children 14 and under will be admitted free. September 12, 10 am – 4 pm. Other than menacing weather, this event will go on rain-or-shine. Puppies and kittens are only part of the great selection of pets available from the many animal shelters in the USA. 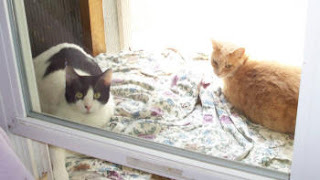 Older, and in many cases, already trained pets make up a large portion of the population of these temporary homes for unwanted and unloved pets. 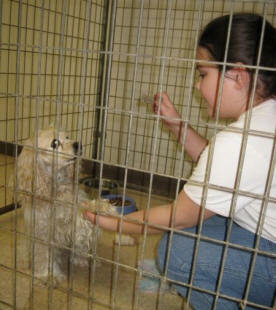 Animal shelters were set up as a safe haven for pets whose owners did not realise the amount of time, effort and money that is required in looking after an animal. It has been estimated that almost half the pets in the shelters are euthanized due to a lack of suitable new homes available. It is likely that many of these are older pets. When visiting an animal shelter, chances are you will be immediately be drawn in by the cute looks from young animals just wanting you to make them your newest family member. But try not to neglect the great selection of older pets that are also available. These pets are often already vaccinated, spayed or neutered, de-wormed, and most importantly – toilet trained! So the chance of ‘little accidents’ is somewhat less than with young puppies or kittens! It is an age old fact that kittens and puppies are bought as presents, which seems like the best idea in the world at the time. The realization of what you have let yourself in for only begins to sink in with the chewed up shoes, hairs in the carpet and the need to walk them or let them in the garden in the freezing cold and pouring down rain. Not such a brilliant idea now. Or the pet that was bought for a child that promised they would walk, feed and generally look after it which also loses its novelty when it is no longer so small and adorable. What is often considered the easy option is to pack the pets off to a shelter where they can just be forgotten about. This is why there is such a huge amount of older animals being left in shelters. People seem to forget the famous saying, ‘a pet is for life, not just for Christmas’. Now you wouldn’t want to be overlooked or ignored just for being an adult would you? Or be left on the shelf for a younger and seemingly more appealing model. So next time you consider a new addition to the family, why not take a look at the pets that don’t get the attention they most definitely deserve. 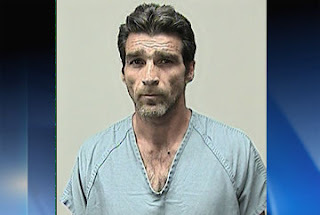 Jorge Iglesias (photo below), the Madison man accused last year of running a cockfighting operation out of his home, is a free man. The Dane County District Attorney moved to dismiss all charges on August 17, 2010. All thirteen charges of Instigation of Animal Fights have been dropped, despite overwhelming evidence to the contrary. Click here for more information about the original charges, and here for a great story from the Wisconsin State Journal. Do you want to support local pet businesses, but just don't find enough variety in-store? 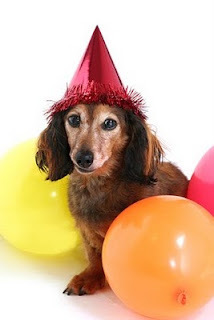 Good news- you can shop online for pet furniture, products, and gifts, and STILL support local Madison entrepreneurs! Online retailer Comfy Cozy Pet Furniture provides designer and luxury pet furniture for cats and dogs of all sizes. The website features quality premium cat and dog beds for sale, in small and large sizes, bumper, donut/round, and elevated/raised. They also offer a large selection of Made in the USA and earth eco friendly furniture for your pet. 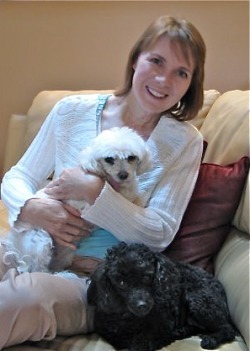 Madison resident Barb Pawlik has owned and operated Comfy Cozy Pet Furniture since 2007. Her husband, Carl, helps out by doing unique engraved glass pet portraits, memorials, pet portrait lights, etc. It is truly a 21st century "mom and pop" business! As of March 11, 2009, Comfy Cozy Pet Furniture carries only products made in the USA. According to Barb, "I've always thought it was important to try to use only products produced in America in both my personal and business life. I'm happy to say I've now found several manufacturers who not only make their own products right here on U.S. soil, they do it in an earth-friendly manner. Yes, you can buy less expensive beds, gates, toys & more elsewhere. But I hope you won't! This is my small effort to support USA workers and the products they make. If we all make some contribution to this effort maybe we can turn the economy around. It's become my mantra, "Is it made in the US? Ok, let's talk. If not, thanks but no thanks." "
So before you buy your next piece of pet furniture from Amazon or another online retailer, consider purchasing from Comfy Cozy Pet Furniture to keep your money right here in Madison supporting local business and American manufacturing. Click HERE for more info on Catapalooza! To celebrate 3 years in business we're throwing a customer appreciation party to say "Thank You" to all our loyal customers. Don't miss out on a day of fun for you and your dog with free treats, food, games, and a huge sale. Get a FREE Doggy Treat Bag with samples of 6 different treats when you make a purchase. Plus there will be SNO CONES for everyone! Traditional flavors for people and Bowser Beer flavor for dogs. Pop the Bubbles: Pop 5 bubbles in 1 minute to win. Bubbles used are made especially for dogs to chase in a peach flavor and don't pop as easy as traditional soap bubbles. Bobbing for Treats: 5 freeze dried pieces of beef treats will be placed in a tub and if your dog can fish them all out in 1 minute a special prize will be awarded. Take advantage of this special chance to save on just about everything in the store. See you at the Pawty for a barking good time! Learn how Animal Communication works in an exciting, gentle and step-by-step manner. Experience the energy that messages (words, pictures, feelings) resides on, so you can interpret it and know your horses, dogs or cats deepest desires! Practice basic breathing skills and see how the breath spontaneously opens the heart which leads directly to the soul of your companion. Bring pictures, for an opportunity to practice talking to the animals! Learn to move messages, with greater clarity and detail between your heart center and your beloved animal companion's heart center. Get details on their desires in life, ask questions and receive answers back! Bring pictures of your companions, for an opportunity to practice talking to many different animals! Asia has been an Internationally known Animal Communicator, Teacher and Healer for eleven years. She has been featured in news programs seen on ABC, NBC, and Fox TV. 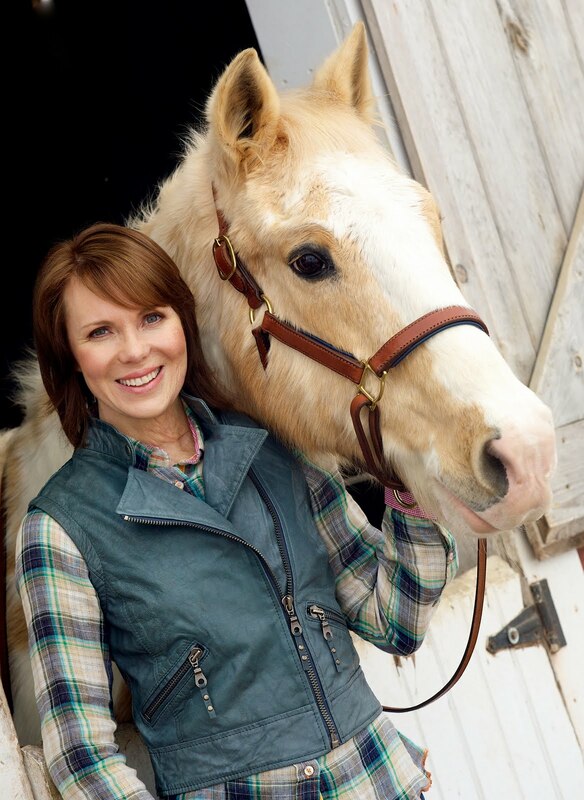 Speaking in front of thousands of animal lovers as a keynote speaker for events like the Midwest Horse Fair, Madison, Wisconsin, Asia amazes audiences with her on-the-spot personal readings. Asia's voice has been heard throughout the United States supporting animal wisdom on many radio interviews like the Rick Lamb Show and dressage rider Jane Savoie's tele-seminar. Readers of numerous newsprint publications (the cover of Women Magazine, the front pages of the WI State Journal and the Fitchburg Star) have been inspired by her uplifting and healing Animal Communication work. Asia has a published chapter in Crossing the Rubicon: Celebrating the Human-Animal Bond in Life and Death. Having 35,000 successful conversations with animals, Asia passes on this impressive experience and teaches workshops gently and step-by-step on how to connect with one's own animal companions and all of nature. An enthusiastic health and body-aware person all of her life (especially after a life-altering car accident), Asia brings twenty years of training in yoga and meditation to her class itinerary. Asia's home includes four horses: two Paints, a Morgan and a Mini! Asia has been studying Natural Horsemanship, and Connected Riding in the arena and on the trail for eighteen years. Asia's journey continues with her trips to Bimini, Bahamas, where she facilitates week-long swims with wild dolphins. Soon she will be adding worldwide whale, turtle and horseback riding adventures to this already impressive list. "The depth of our companion's thoughts, feelings, and aspirations were astounding. Your ability to reach out and connect us to our horses and dogs at that level is nothing short of miraculous. My world and how I perceive it has been changed forever." "Asia's gifts include her teaching ability. Her warmth and professionalism provide a strong foundation for her classes. She creates an inclusive, supportive environment, encouraging and celebrating each students learning. Asia's personal experiences and anecdotes entertain as she leads her students toward better communication with animals."